Buy Cheap Warhammer Now, Get 15% Discount Off RRP and Free UK shipping over £75! 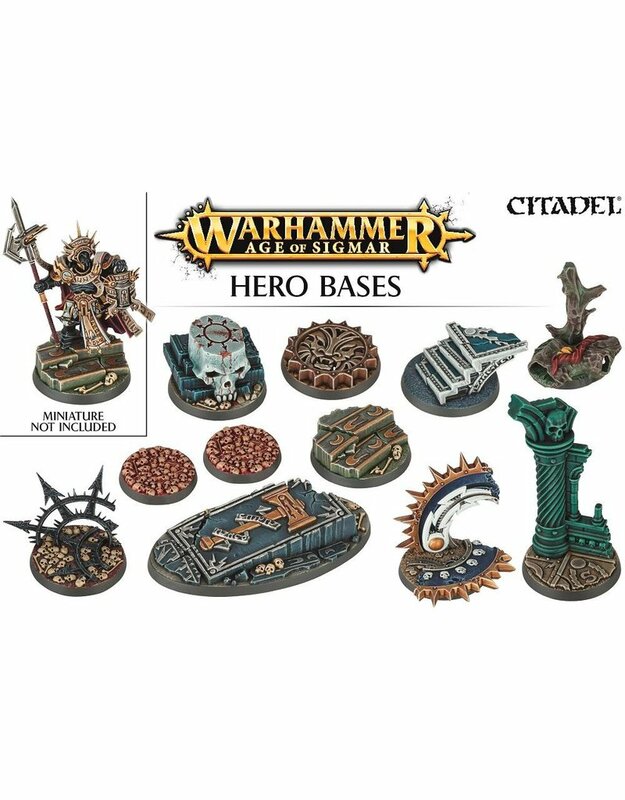 Featuring 10 unique designs, these bases are a quick and easy way to base your characters. They can be used with any of the armies featured in Warhammer Age of Sigmar – simply paint the base, glue your miniature down, and you're good to go. The box contains 11 bases: three 32mm Round, seven 40mm Round and one 90mm Round bases, with eight human skulls, four orruk skulls and two bird skulls for extra decoration.